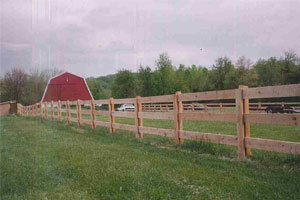 Rustic Fence, Inc. offers farm and ranch fencing which is known to be one of our specialties. We can help design and install a fencing system that will compliment with the rest of your property and provide your livestock, garden or farm the proper protection it deserves. We have experience installing rural fence systems throughout the area and can accommodate even the most unique needs. From electric fences to post and rail, we have you covered. 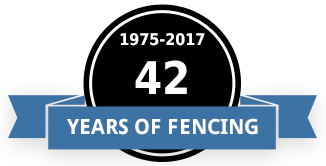 We’ve been installing fences for over 40 years and guarantee you 100% satisfaction. The material choices are as wide-ranging as barbed wire and field fabric to wood corrals and specialty horse fencing. Continuous fencing is not only rugged and strong, but an attractive eye pleasing addition to your farm or ranch. We use only the best materials and quality craftsmanship to give you the best value for your money. We aim for the highest record of customer service and we have a commitment to total customer satisfaction. Family owned and operated since 1975, we’ve built our customer base through years of hard work and determination. We take great pride in providing you with top quality service and promise your complete satisfaction when choosing us for all of your residential and commercial fencing needs. Our company has developed and focuses on customer service practices based on courteous and professional service for all our clients. Rustic Fence, Inc. has provided farm and ranch fencing and installation services for over 40 years and serves clients throughout the Maryland counties of Howard, Montgomery, Frederick, Carroll and Baltimore.